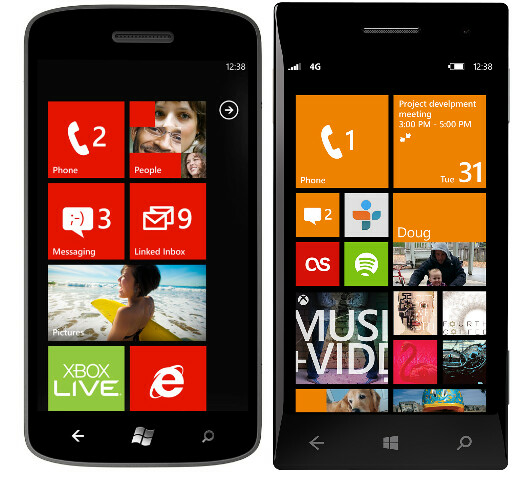 Windows Phone 8 offers some nice improvements over its predecessor. When Microsoft started to look at improvements to the Start screen, improving Live Tiles was the first thing the design team looked at. Knowing that some things being pinned to the home screen were more important than others, customizable tiles were added that allow the user to resize them. The Live Tiles make sure that the latest news, scores, weather, Facebook status changes, etc. can be seen from the start screen on your Windows Phone 8 device. And to squeeze in as much room as possible, even little things like the arrow that pointed to the App list has been moved to create more real estate for the Live Tiles. Microsoft was aiming for "a more balanced, uncluttered look," that put the focus on the user's stuff, not Microsoft's. Why a four-column layout? Microsoft tested a number of different column sizes. Three provided not enough flexibility while five made the Tiles too small to read and tap. Four columns worked out just right. And while all apps support a small or middle-sized tile option, important applications like Mail, People or Calendar give you the choice to pin them using a large-sized Live Tile. Believing that color is an important way to express personalization, Microsoft doubled the number of colors that can be used on the home screen to 20. Some of the choices include cobalt, yellow, indigo, olive, steel, and mauve. And the option to change colors is found in more spots than just the Live Tiles. You can change colors for the virtual QWERTY keyboard and for other areas as well. Microsoft spent countless man hours working on the Start screen to get everything just right for Windows Phone 8. Besides the Start screen, Microsoft has also improved the lock screen by allowing the user to customize the notifications at the bottom of the screen. Where the calendar used to be, you can now see who was trying to reach you with that last missed call or see the first line of the latest text message. The calendar slot can be replaced with email. You can even register apps to appear on your lock screen. For example, you can view the top stories from CNN without having to dig into your Start screen or click on the app. You can even now arrange to see a new photo for your lock screen every 30 minutes, coming from places like Facebook, CNN or Bing. And one big change is that the pause, skip tracks and resume play buttons will now disappear when you're listening to music and the phone locks. This prevents the accidental press of a button that would start up your tunes during an inappropriate time like during an important business meeting. If you want to start/stop your tunes while the lock screen is on, pressing the power button will make the buttons available for three seconds before they fade away. To prevent your phone getting wiped by accident, failure to unlock the screen using PIN numbers now won't automatically lock you out and wipe your data after a certain number of attempts. Some businesses require this just in case a phone falls into the wrong hands. But what if your child gets a hold of your phone and presses random buttons instead of the correct PIN? So just before the phone gives you one last chance to enter the proper password, you have the opportunity to copy a specific alphanumeric phrase that gives you one last chance to remember your PIN.. 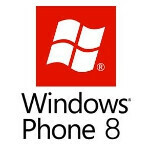 These are just some of the few cosmetic changes that Windows Phone 8 brings. Inside the phone, new standards for screen resolution, multiple-core processors and more allows Microsoft's mobile OS to really go after iOS and Android. Yeah I really like it actually. I mean I love my S3 so I wouldn't switch, but I can see myself using that and liking it! Microsoft isn't doing to bad. Good article Alan but you titled "How Micosoft came up with the Start and Lock screen", That would imply the inspiration, the origin of the idea and such, yes you have let us know what improvements and additions Microsoft made however apart from the testing 5 tiles and resulting in them being too small, nothing else of the how is explained. Just saying, thanks! Agreed, I thought the article would say what gave them the idea to do the Metro-style UI. A little dissapointed, that would have been interesting to find out. 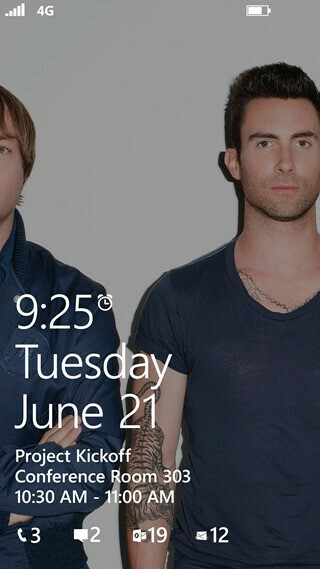 I must say, I do like the lock screen look of WP8. It just looks modern yet clean and organized. I see that the source of this article is Engadget. I was going to say, perhaps one of the PA writers would like to take a crack at rebutting the editorial entitled "Amazon and Google are undermining mobile pricing, and that hurt's everyone". I think there is something wrong with todays comment board, it gives you no time to edit, before you had 240 seconds to edit. Now as soon as the post go in it say "posted 1 hour ago". Anyway to edit my above post. In the patent from Microsoft the tiles did not look alive, as in the original patent, but looked plain and elementary. I am not sure , but wp7 when launched did not have live tiles. So maybe after filing for patent they must have included live tiles in one of their updates. I forgot the name of the update before mango. You have the option to edit for up to 240 seconds, OR until someone else posts or replies, OR if someone gives you a rating on your comment. Folks I am a windows smart phone fan and will get me a 920 as fast as I can but I am worried if windows store tile apps will be around long because there is a company suing Microsoft about the design of the Windows store tiles apps they say they came up with the Idea first. If Microsoft loses the case and Microsoft cannot get an agreement to continue to use tile style Windows store apps then folks we will see good old icons on Windows 8 desktops, Laptops, Servers, Tablets and smart phones. this could cost Microsoft and it's OEM partners big bucks to change over to Icons again Wow what a fall out this would be on Microsoft's mobile efforts. it would set them back at least 2 to 3 years. .
@ 7thspaceman- If Microsoft was to lose the patent suit, i believe they are committed to make WP8 work no matter what... That said, SurfCast sounds a lot like Surface. So it wouldn't be that difficult for Microsoft to pay to use their patent, or even better yet, buy the patent/company. Wouldn't be the first company Microsoft bought. You know the ole saying, everyone has their price. I don't think Windows Phone 7.5 allows sideloading in the traditional sense, but not sure about 8. I've downloaded stuff from both the Live Marketplace and also the Nokia Beta webpage (though in retrospect that may have been a redirect from the Marketplace, don't recall). With androids you can download the .apk and install it, I have not encountered that capability in Windows Phone 7.5 yet.